Kale salads are sprouting up on menus everywhere. You can find massaged kale Caesars and kale pulverized in smoothies. This may not be the health food it seems. A daily dose of raw greens may leave you tired and gaining weight. Leafy greens have many health benefits; they are a rich source of magnesium, carotenoids and other antioxidants. Greens can reduce sugar cravings and energize us. Almost every long-lived culture makes leafy greens a staple. According to Richard Kunin, MD, a San Francisco medical doctor, raw greens however, contain an undesirable long chain wax on their surface. In nature this protects leaves from predators and UV light, but in your body it appears to block fat from being burned. Not only could this leave you plumper than you’ like, but unusually tired. I studied with Dr Kunin years ago in San Francisco. His patient mix included wealthy women and the “incurable,” who he usually cured. He noticed a recurring pattern in many of his female patients. Despite healthy diets full of salads and lean meats, many were fatigued and unable to burn fat. Perplexed, Kunin ran blood tests and found abnormal concentrations of a long chain wax unique to some dark leafy greens. This wax can block L-carnitine from transporting fat into cells where it is burned by the mitochondria for energy. It is found primarily on darker heartier greens such as kale, collards and chard but not the delicate leaves of lettuces. Furthermore, kale is a cruciferous vegetable. Along with raw broccoli, cabbage and others in this family, kale is well known to interfere with thyroid function, another cause of low energy and weight gain. I’ve had many clients complain to me of low thyroid signs, including fatigue and inability to burn fat. A steady diet of green smoothies and raw broccoli is often a contributor. The solution is simply to cook these veggies. Cooking dissolves the wax and inactivates the thyroid-blocking property in these veggies. Cooking also makes the vitamins in plants more bio-available. Studies show you end up assimilating more vitamin C when you lightly cook your veggies. As long as you don’t cook them to death, a light cooking leaves vegetables better for you, and usually better-tasting. Traditional cultures use a variety of cooking methods to enhancing flavor. In Asia greens, such bok choy, gai lan and pea shoots, are stir-fried, braised or cooked into soups. In Brazil, finely shredded kale is commonly sauteed and served with pork. In the Mediterranean, greens are boiled, drained then topped with lemon juice, fresh pressed garlic and olive oil. In the south collards and mustard greens are boiled with ham hocks. I spent years living in France, Spain, Turkey and Greece, dining on a variety of delicious cooked leafy greens, Fortunately I never saw a kale salad. If you are not losing the weight you want nor have the energy you’d like, consider cooking your kale. You can inactivate almost all the thyroid interfering effect of raw kale buy sauteing, preferably followed by braising in which you add some water or broth and simmer. Soaking nuts and seeds, then dehydrating (lower heat than baking) reduces phytates which can be difficult to digest and bind minerals. I don’t think this is essential for everyone. However, if you eat nuts and seeds often and suffer digestive issues, or mineral deficiencies, you are likely to benefit from this. I can’t believe that I actually googled “does kale make you tired.” I absolutely adored raw kale. Rubbed with olive oil and sea salt makes it so tasty. So one week I ate a HUGE HUGE HUGE raw kale salad every day. And every day shortly afterwards, I felt like I was passing out. Not sleepy, DRUGGED. I eventually thought let me google that, and I felt really stupid doing that. And low and behold all this information. Thank you for clarifying! I also think chick peas make me tired!! I am so glad to have found this. I can actually attest to this from personal experience! Does raw, dried kale have the same problems as raw, fresh kale? I’ve always loved kale from the very first time I had them. My recent favorite is kale chips, I often make them with apple cider vinegar, If you keep them in an airtight container they stay crunchy. My friends love them and they can cost a fortune to buy. I dry them in a dehydrator but a low oven would be fine too. I really enjoyed reading this post I learned a lot from it. Thank you for sharing this. Thank you for this extensive blog on raw kale. You really opened my eyes up to the raw veggies found in so many green smoothies during our last session. Thank you. I am pickier about what I put in my smoothies. I do like to put finely chopped kale into my soups. Do you find yourself making soups even in the summer? Do you have a couple of energizing & slimming summer meals with summer green veggies that you would recommend right now? Thanks Andria, I find myself making less soups in summer, but mainly because I love grilled squashes and other summer veggies so much. That said, I do make gazpacho a few times in August. Yes, raw! and yes nightshades, but I can’t resist when tomatoes are falling off the vines around here. Keep in mind soups are part of life in very hot climates. I spend most of my days creating the perfect slimming meal ideas for clients depending on their preferences, health and desire to cook. Spinach is super quick, cooling and tasty sautéed in some bacon drippings served with butter poached salmon or grilled flat iron steak. Are lettuces and other salad greens (like arugula and spinach) included in “leafy greens” that need to be cooked to avoid possible health issues? Or, is it just specific to cruciferous vegetables? NO, lettuces and tender arugula are fine. It is the coarser greens, like kale and collards. Spinach is best wilted. Has Dr. Kunin or anyone else published findings about this long-chain wax on dark leafy greens? This is news to me. I did a quick search myself and could find nothing. Dr Kunin did a lot of interesting research over the years, including testing snake oil only to find out it is one of the richest sources of omega 3 fats in nature. He also treated patients given up on by traditional doctors; Once I attended a medical meeting at his home at which he introduced us to a man diagnosed with schizophrenia who had been living in an institution. The man told us as long as he took his supplements (specific nutrients in high doses) and followed his diet, he didn’t hear voices or hallucinate and could live a normal life. Kunin’s heyday was before the internet era, so I am sure much valuable information exists only in the memories of those still living. This is great info- it leaves me with a question: I have heard that eating too much raw kale was unhealthy, but you seem to be indicating Linda that ANY raw kale is probably not good. Thanks for answering this! I would not say everyone should avoid raw kale. We are all unique in our nutritional needs. Some people will benefit from the properties of raw kale. 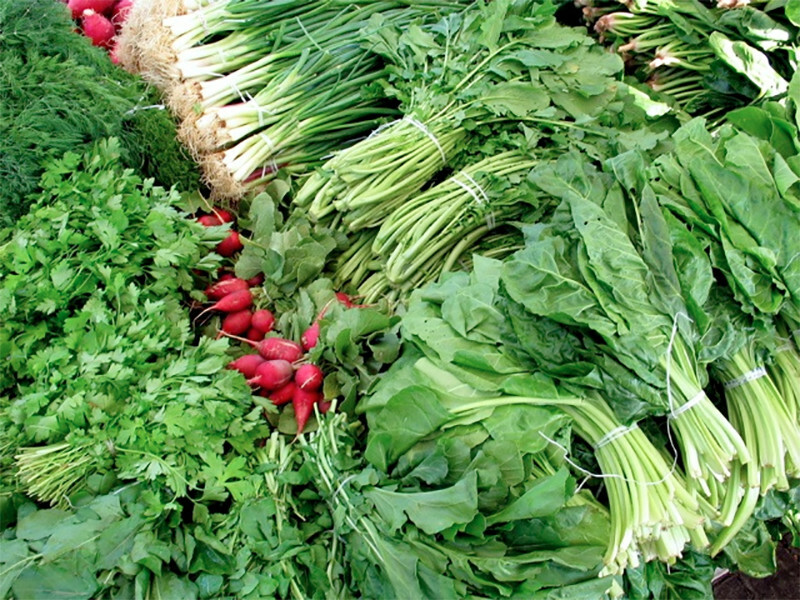 According to Traditional Chinese Medicine, raw greens are cooling and damp. For someone with a certain pattern of heat signs, raw kale in a smoothie on occasion can be healing. If you wonder why you are chilled, puffy and tired and you eat a lot of raw greens, you may need to back off. Most whole foods have some kind of therapeutic effect – you just need to know if that is the right therapy for you. Happy to be introduced to your site and research. This is a debate that has been going on between raw foodists and others for a while. Since neither argument swayed me, I have been hedging my bets and eating it both ways — till now. Thank you Linda for pointing out the science behind the controversy. Now that I think of it, I hadn’t heard of kale salad till a few years ago. Don’t think it was part of our ancestors’ foodways. BTW, has anyone seen David Wolfe lately? I love the man, took a three-day course with him at Kripalu several years ago, was even going to write his next book with him, but boy is he fat! As always Linda, you are cutting edge and ahead of the game. Thank you for sharing your in-depth knowledge and wisdom with us!